1. Combine ground beef, Lipton® Recipe Secrets® Onion Soup Mix and water in large bowl. Shape into 8 patties. Wrap edge of each patty with 1 slice bacon and secure with toothpick. Grill, turning once, 12 minutes or until done. 2. Thoroughly blend cheeses with milk in small bowl. 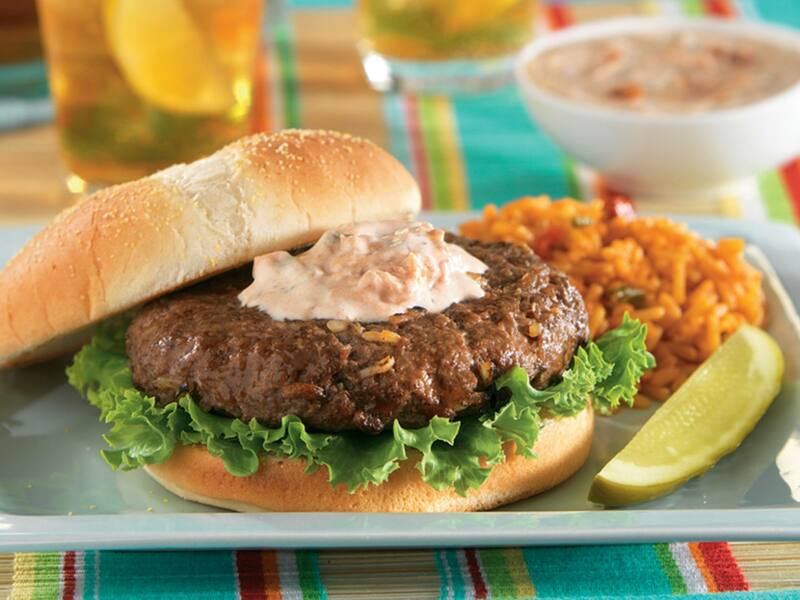 To serve: remove toothpick, top each burger with tomato slice and cheese topping. Serve if desired on hamburger buns.